From Amazon: Three friends spend an unforgettable snow day in their Brooklyn apartment building, making and distributing fortune cookies to their lonely neighbors -- and confronting the secrets that they've been keeping from each other. Confident Kate doesn't notice much but the latest gossip, and shy Georgia can't say out loud what's always on her mind. They make homemade fortune cookies along with bubbly Olivia, whose epic, single-minded crush on PBJ (real name: Phillip Becker-Jacobs) is starting to frustrate the other two. Using specially-targeted fortune cookies, they try to work together to bring some love to their building on Valentine's Day, while reminding each other why they're such good friends to begin with. 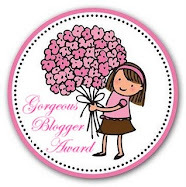 Like My Life in Pink and Green, Lisa Greenwald delivers a cute and enjoyable read. This time the story is told by three main characters - Olivia, Kate and Georgia. The three girls have been friends forever, but lately they haven't been getting along as well as they use too. Over the course of the day they each learn a valuable lesson about themselves and each other. I really liked all the three characters. They are all very different, and each had their own story to tell. You can easily see why they are friends but also understand why they are having difficulties - they come across as real people with real insecurities. I really liked that. I found it really endearing watching them remind themselves why they are such great friends. I loved the setting for this - there is just something really exciting about living in an apartment building! I loved the way all the friends lived in the same building and I liked the idea behind the fortune cookies and handing them out to all the residents - such a great way to meet characters and find out snippets of their lives. There also seemed to be magic attached to the fortune cookies - there are times when the fortunes are really spot on! I really like Lisa Greenwald's writing style. She makes me care about the characters and gradually increases my interest in the story. I seem to find myself becoming completely glued to the story and can't wait to find out what happens. I love that her stories have a feel good factor - you know they will end happily so you enjoy the journey! This is a great story for Middle grade / tween readers, or readers wanting their first teen read. It's super cute - and I really fancied a fortune cookie after reading it! 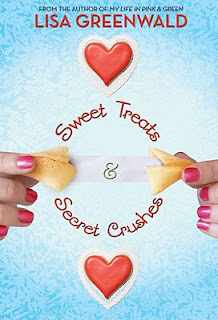 I have 3 copies of Sweet Treats & Secret Crushes by Lisa Greenwald, published by Amulet Books to giveaway. 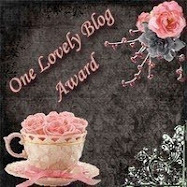 The contest is open to everyone - there will be 1 international winner and 2 UK winners. Closing date is 12 December. You don't have to be a follower to enter. This giveaway is now closed. The winners will be notified shortly. Sounds like a great read for MG Monday/my 10 year old and the library. It really has a cute storyline. I love friendship novels, as long as the characters are well written and not..snarky. This sounds cute and something that will be enjoyed by my tweeny girls.